Welcome to our weekly wallpaper series, where we attempt to remove whatever boring standard desktop wallpaper came with your computer, phone, tablet, or any other device with a screen—and replace it with something better. Something, preferably, with four wheels and a fantastic exhaust note. I know the last thing you want to see is more of the frigid Northeast right now, but these photos were too good to pass up. 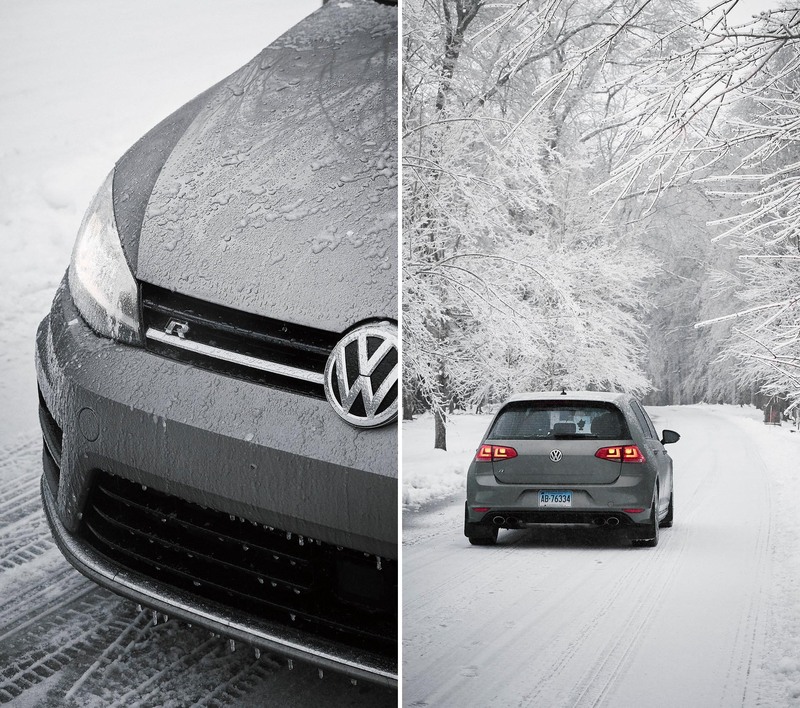 This week's wallpaper features Marketing Director, Kyle Bento's, 2017 Golf R doing the one thing it does better than the GTI—living it up in the snow. With this winter being exceedingly mild, we've all been waiting for the opportunity to pretend that we're Finnish rally drivers, and that moment finally came this past weekend. 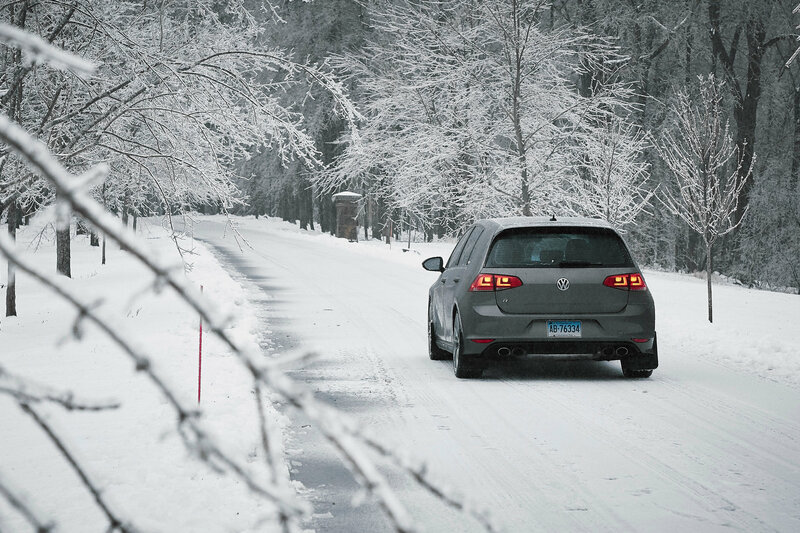 While the snow made for some fun driving, the ice made us slow down and appreciate just how photogenic the winter can be. 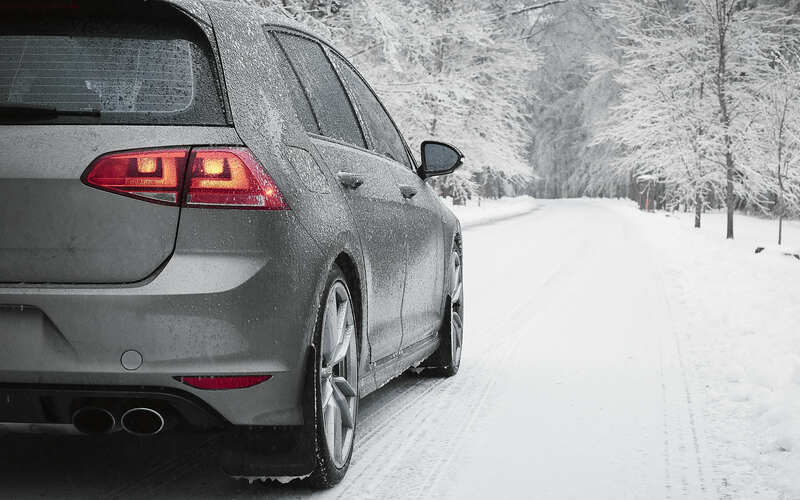 This particular Limestone Grey Metallic Golf R spends its days in the FCP Euro parking lot with a gaggle of GTIs staring it down silently judging–wishing they had that big turbo and could send power to the rear. 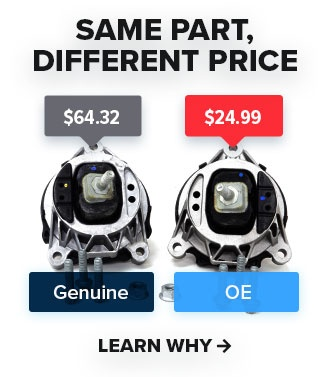 As Kyle's car sits, it isn't stock. It currently features the OEM short shift kit, Unitronic Stage 1+ tune, and an oil catch can. With the added power from the tune, a more aggressive Audi TTRS clutch is in the pipeline this coming spring. All of these photos were shot by Kyle Bento, so check out his Instagram if you like what you see. Subscribe to our YouTube channel and check back here to keep your desktop looking fresh. If you have any suggestions or requests for future wallpapers, leave them in the comments below.